How will your company become top-of-mind in 2019 and beyond? Sometimes a simple modification to a business policy can lead to that memorable, unique edge. Even if your industry is more than 300 years old. Small Business Trends chatted with Sarah Binder Mehta about hitting all the right notes in a traditional niche. After graduating from Cornell, Mehta made her way to the University of Michigan Law School where she focused her studies on product liability defense. She later joined forces with her father, Jerry Binder, to continue the family business, PianoPiano. Its stress-free and affordable piano rental process keeps clients coming back. The company has placed pianos everywhere in the New York City area for more than 60 years. Small Business Trends: One point I like to jump to immediately is unique value proposition. What would you say yours is? Sarah Binder Mehta: We offer the most flexible terms for piano rentals in the US. As such, a lot of our customers don’t realize all of the great policies we have. For example, we are one of the only places that will let you rent a brand new piano forever. You never have to purchase and we don’t have a date at which you have to send it back if you’ve decided not to purchase. For those who do want to purchase, we also allow our customers to use their first 12 months’ rental payments as “rental credit” towards the purchase of the piano they are renting, or any other piano we have of equal or greater value. You can use this “rental credit” at any time. We also allow our customers to exchange their piano any time they like, so as our customers become more advanced in their piano skills, or move to a bigger or smaller apartment or house, we can switch the piano for them as many times as they’d like. Small Business Trends: What have been the biggest HR challenges for your company? When’s your “busy season”? Sarah Binder Mehta: One of our biggest challenges is finding quality people who also play the piano! Everyone who works for us has to know how to play, and sadly that has become difficult to find. Luckily we have people coming to see us every day who play the piano and we’ve had some success with hiring our customers. Beyond knowing how to play the piano, our employees need to be outgoing and like talking on the phone with customers. They also need to be able to think on their feet to help customers solve problems quickly. And because we’re such a small business, everyone has to do a little of everything, so having a positive attitude and being willing to pitch in is essential. Because we’re in two types of rental businesses — long term for home use and short term for events and parties — we are busy all the time. For long term rental, the back to school season is very busy for us; children are going back to school and starting their piano lessons and teachers really want their students to practice on a real acoustic piano – we have parents calling us every day to have a piano delivered so their children can take lessons and practice at home. Then during November and December we get into the busy holiday and party seasons. And in January we’re right back to back-to-school season as those students we didn’t start piano in the fall begin lessons in the winter. Then in spring and summer its weddings, weddings, weddings. We’re fortunate that our rental businesses complement each other so we’re always busy. Small Business Trends: How do you connect with customers beyond the rental process? Sarah Binder Mehta: At PianoPiano, we’re really striving to create a piano playing community and offer our customers more than just a piano. We recently started our Open Recital Series where any of our customers or their children can perform free of charge. We hold these recitals once a month and it’s a great chance for piano students to get performance experience. We’re also looking forward to beginning master classes for our customers as well as outings to piano performances. And, of course, we can always help any of our students find a great piano teacher or school. Small Business Trends: When you look at your marketing strategy, what would you say is the biggest driver of sales? Sarah Binder Mehta: Of course, Google is a huge driver of customers to our website. But nothing beats word of mouth business. We have great customers who love us and talk about us to their friends. We also have a huge network of piano teachers we work with that rent pianos from us and are always happy to recommend us to their students. Small Business Trends: What brands are crucial to running your business? Are there any vital brands that PianoPiano uses daily? 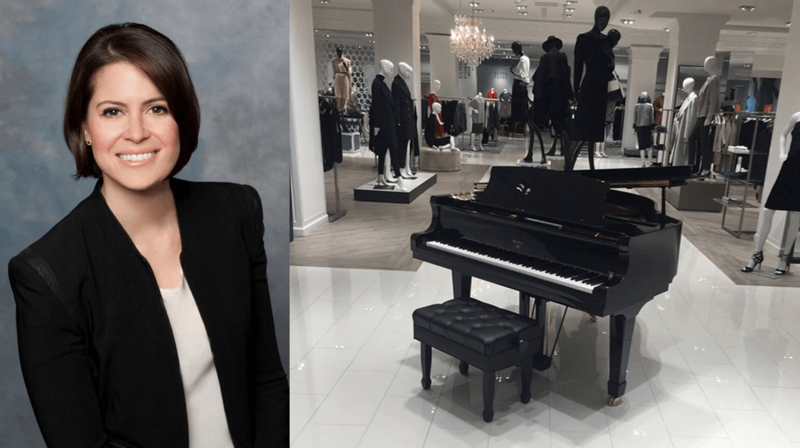 Sarah Binder Mehta: Naturally we are super reliant on our piano brands – Weber, Avery Bond, and Young Chang, to name a few — without these fantastic manufacturers providing superior, high quality product, we wouldn’t even be in business! As for day-to-day use, we rely heavily on products from Microsoft — their Dynamics CRM has been an absolute life saver for us. And we also have a wonderful CRM service provider called PowerObjects that helps us with daily support and build out of new features. When we first began looking for CRM software, we looked at all the major players, and some not so major players. For a company of our size, Microsoft Dynamics provided the customizable solution we needed for the right price. Small Business Trends: How can people and other businesses reach you? We’re easy to reach: Customers can email us at info@pianopiano.com or give us a call at 212-586-9057. Of course, they are always welcome to stop by our showroom on 54th street and our complete inventory is available to rent online at PianoPiano.com. Most of our customers never come in to see us, they just rent right on line or over the phone.